Your Marysville Auto Repair Welcomes You! At Bud’s Auto Repair, we’re proud to serve the Marysville and Everett communities and Snohomish County. For over 30 years, we’ve been providing the best transmission repair, diagnostic service & repair, and auto repair at a fair price. 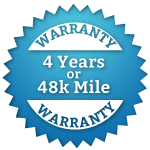 We are a Triple A Approved Auto Repair Shop with the best customer service around. Each of ASE Certified Marysville auto repair expert technicians are well rounded and are ready to help you maintain your vehicle for as long as you have it. We understand that your Subaru is built to last - and we know that these durable cars need the right car upkeep to maintain their endurance. Subaru's are complex, powerful vehicles that need a thorough understanding of their mechanics that make them distinctive from other cars. We understand your Subaru inside and out, and are able to provide you a more precise diagnosis and right repair than most competitors. You can call us your designated &local Subaru specialist repair shop! Bud's is proud to be BG Products Certified! BG Products are known for extending the life of your car, giving you improved performance and gas mileage and generally helping you to stay on the road and out of the shop. In addition to the amazing BG line of products, we are thrilled to have the Lifetime Protection Plan. This unique plan offers protection and peace of mind when you have one our high quality BG Services performed on your vehicle here at Bud's. How does it work? Well thanks for asking! When you perform your first BG Automotive Maintenance Service prior too 36,000 driven miles, you qualify for Plan 1. Even if you join late, however, you can still enjoy the protection benefits of Plan 2. Click here for more information or give us a call at the shop. We'll be happy to go over the money saving and peace of mind benefits you'll receive by having Bud's performance your BG products maintenance. Bud’s Team of Diesel Performance Specialists! Bud’s Auto Repair and Transmission offers diesel performance products at our Marysville auto repair shop. From towing capacity to fuel efficiency, improved horsepower to exhaust and brakes, we're serious about preserving your diesel truck at peak performance. Don't Drip and Drive - Bud's Is Your Marysville Free Leak Inspection Specialist! In partnership with the Automotive Service Association Northwest, AAA and Envirostars, Bud's is proud to offer Free Leak Inspection services as your Certified Marysville, Everett and vicinity auto repair shop! For more details and conditions, please give us a call or visit the program website, FixCarLeaks.org.